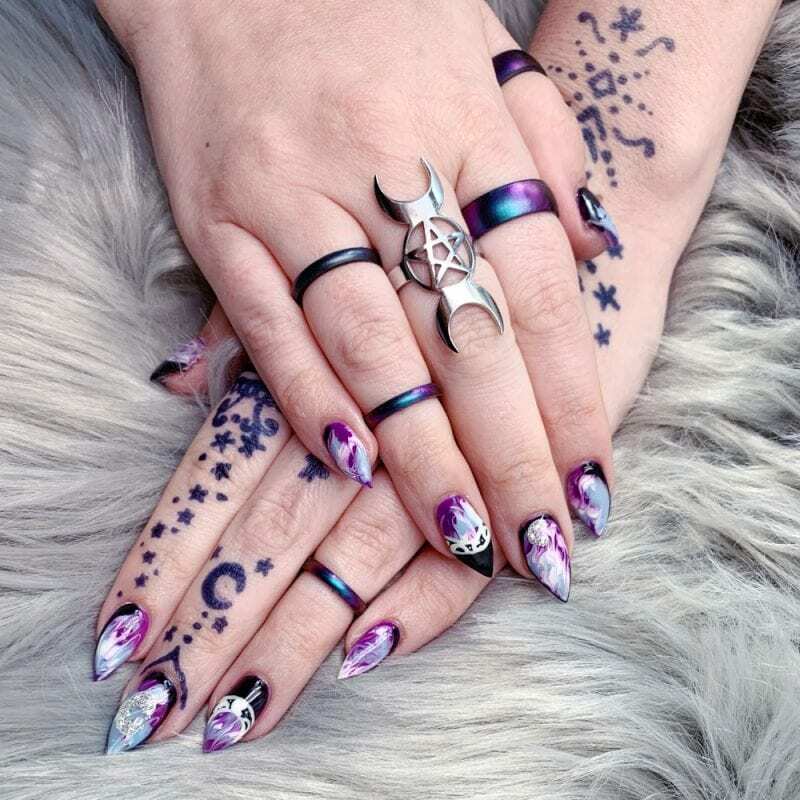 Kiara Sky Gel Nail Polish Manicure - Get Witchy Nails! Today I’m sharing my Kiara Sky Gel Nail Polish Manicure with you. As you all know, I love getting my nails done. I currently get hard gel nail fills, similar to acrylic but I don’t experience lifting or any issues with hard gel like I did with acrylic. 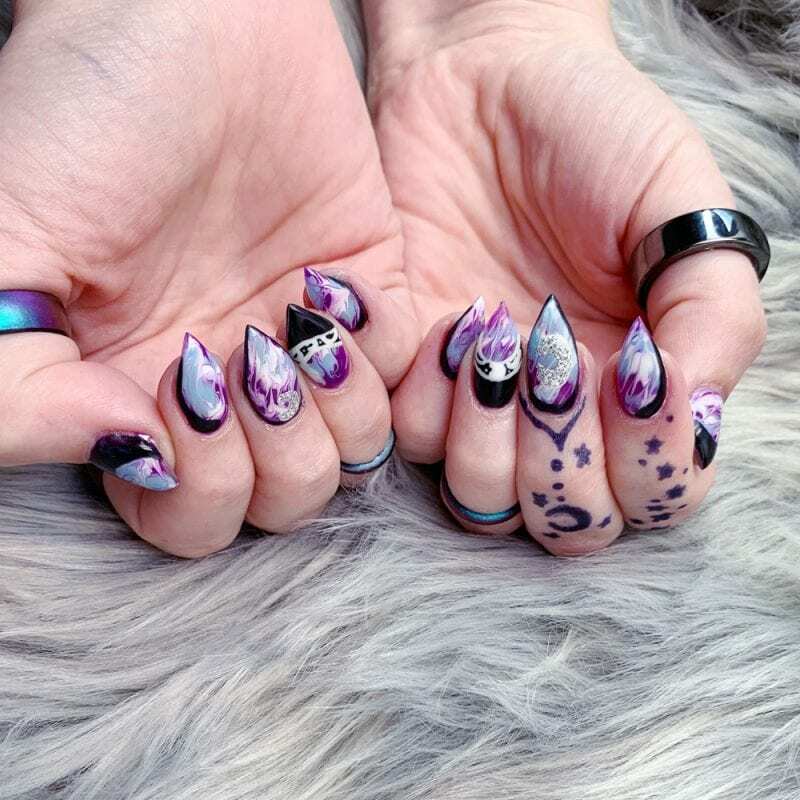 Lately I’ve been letting Diamond, the talented lady who does my nails, create custom witchy goth gel nail polish manicures for me. She does an amazing job! 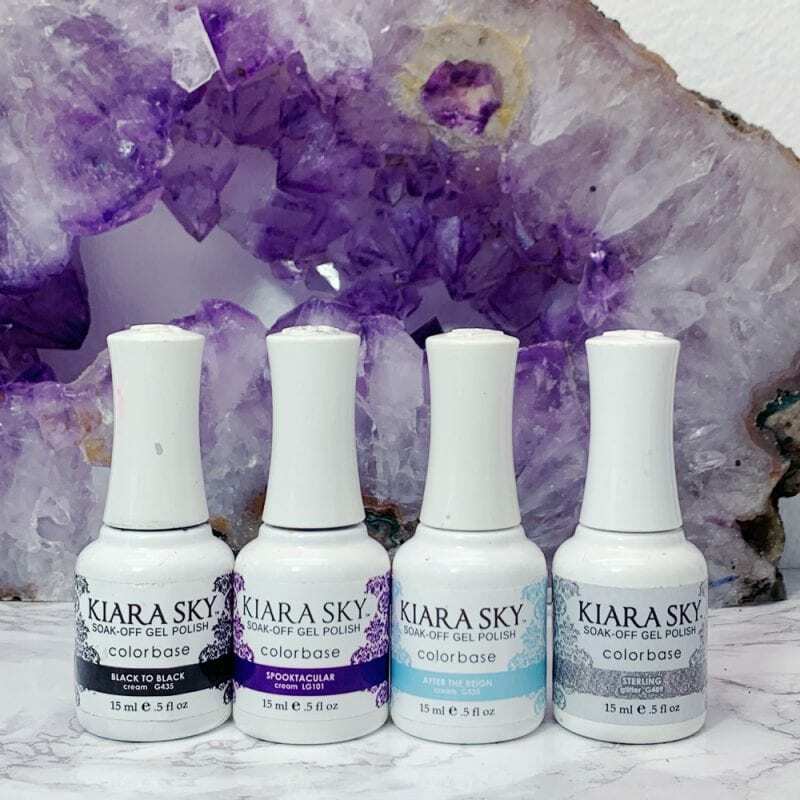 For those of you who don’t know, Kiara Sky is an indie cruelty-free nail polish brand. They’re from California and have been in business for over 15 years. They believe in beauty without cruelty. 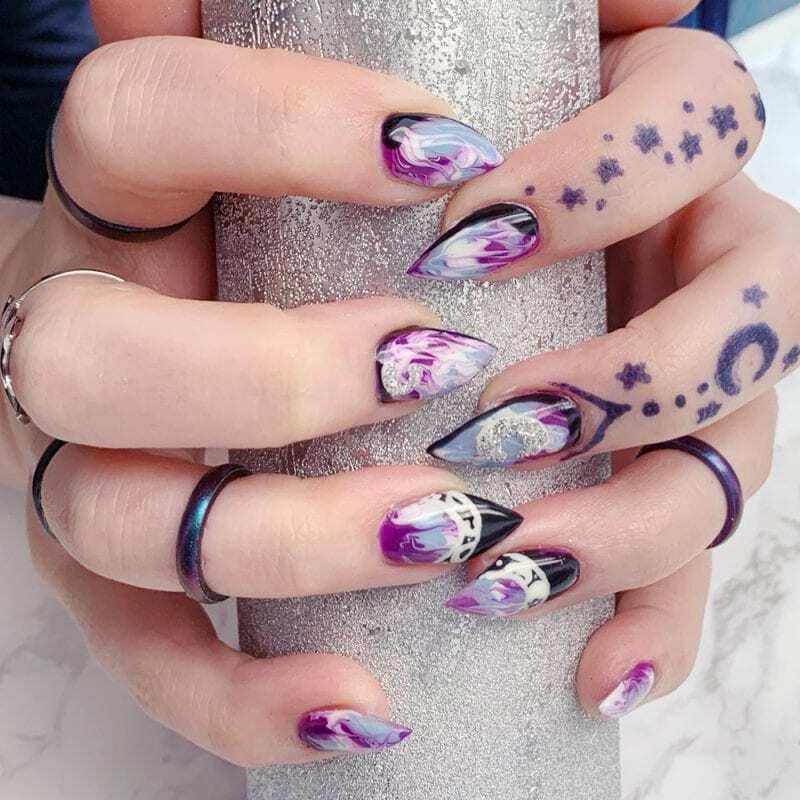 Diamond used Kiara Sky Gel Nail Polish in Pure White, Back to Black, Spooktacular, After the Reign, and Sterling to create this manicure. She swirled Pure White, Spooktacular and After the Reign together to create a marbled base. Then Diamond used Back to Black to trim the nails. She used more of Pure White on 2 of the nails to create a detailed border. 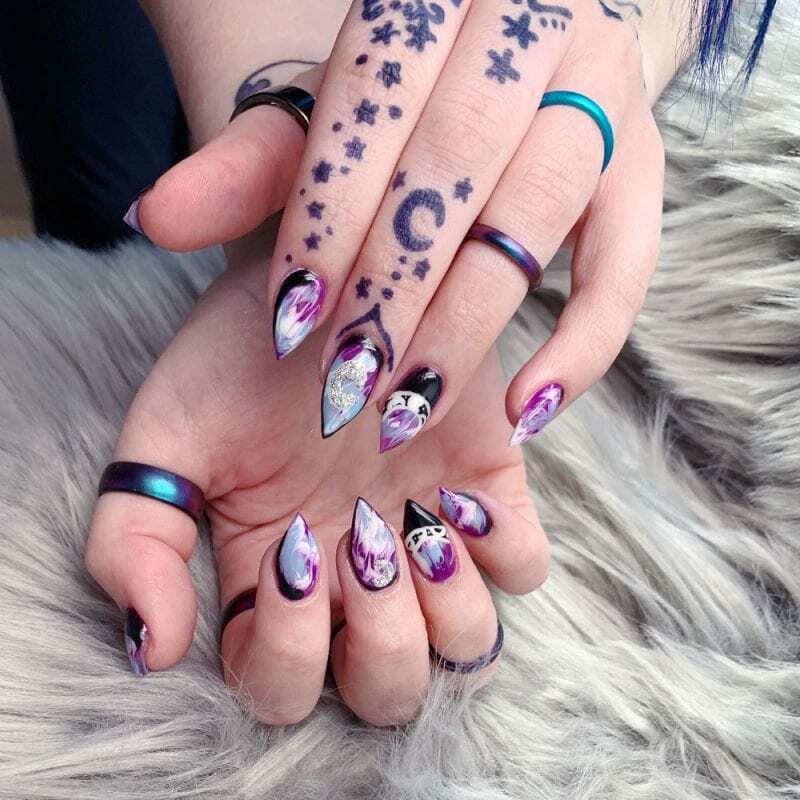 Since she knows I love crescent moons, she used Pure White topped with Sterling to create 2 crescent moon shapes on my middle fingers. What are the benefits of gel nail polish? One of the awesome things about getting a manicure with gel nail polish is that it LASTS. My nails look flawless 3 weeks after they were done. The only reason I get them done every 3 weeks is because of how fast they grow. You’d see a lot of nail grow near the cuticles otherwise. 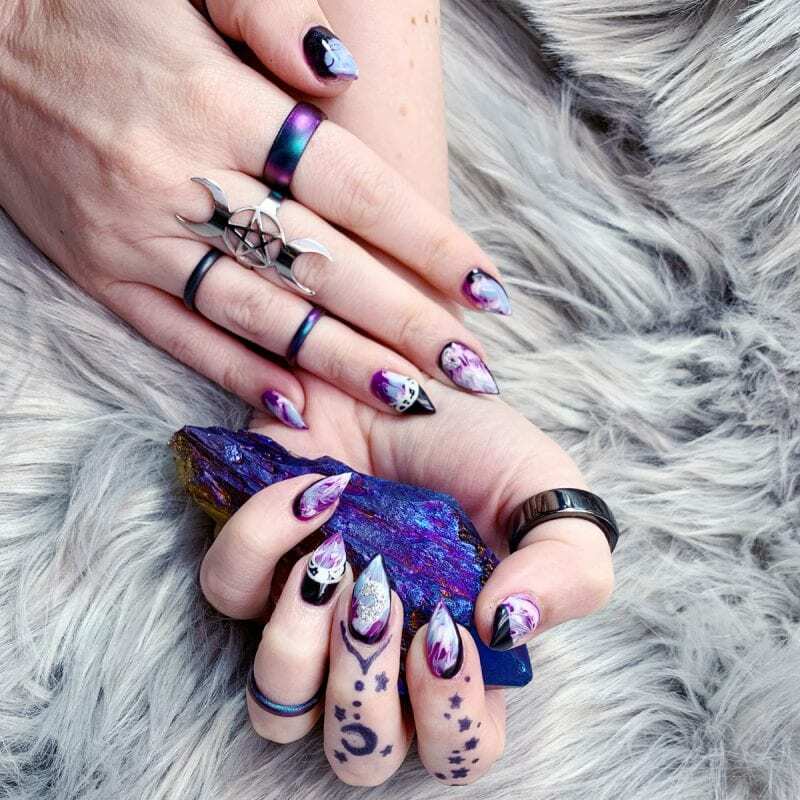 Diamond’s marbling technique is quick and easy with gel nail polish! 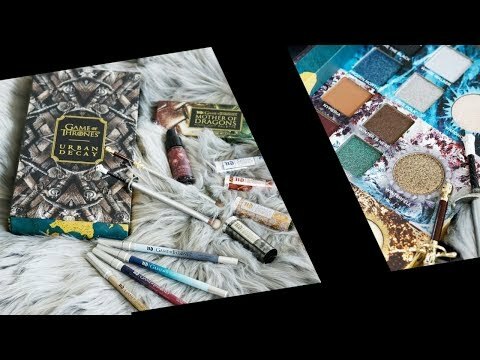 She uses a dotting tool to create her swirls and freehands her designs. I love the results so much! I love that gel nail polish manicures are dry almost instantly, too. You just cure your manicure under the light and a few minutes later it’s done. While I don’t always get a gel nail polish manicure because I still love to wear my KBShimmer nail polish, I’ve been really addicted to them lately! Gel nail polish manicures never chip on me. If you’re not as picky as I am, you can get your gel nail polish manicure to last 4 weeks. It’s resistant to chipping, breaking or peeling. Plus, no smudging! The color gets locked in when it’s cured under the UV light. If you have weak nails that peel or split, getting a gel nail polish manicure can help to strengthen your nails and prevent breakage. I recommend checking out the best nail treatment for healthy nails if you’re struggling to get your nails into great shape. Want to try a gel nail polish manicure at home? You can pick up this LED Light on sale at Amazon. Or you can try this Gelish Starter Kit. Kiara Sky also makes an LED Light. If you’re in Tampa or Miami, make an appointment with Diamond for some killer nails! Tell her Courtney sent you.